When you login as a user from an external authentication source like Active Directory or LDAP, configuration of NSX is not possible. The Network & Security button is present, but no NSX Managers or other configuration objects are visible, despite the user has administrative permissions at the vCenter Object. Network & Security configuration is empty. The default vCenter Administrator can see everything. VMware NSX has its own permissions structure, separated from vCenter Server Permissions. No NSX Managers available. Verify current user has role assigned on NSX Manager. 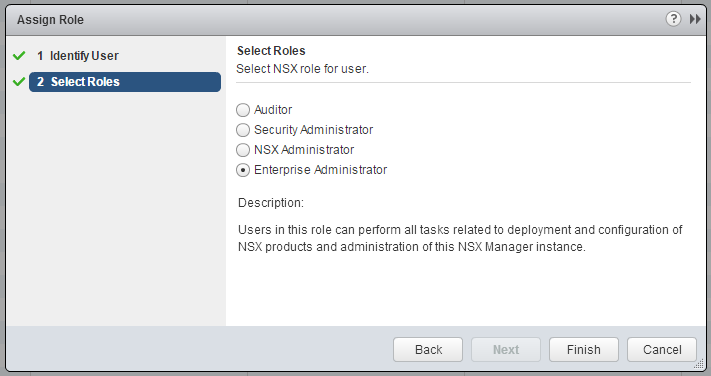 Configuration of permissions is done in the NSX configuration. To allow users to manage NSX, they have to be added to the NSX Manager Configuration. 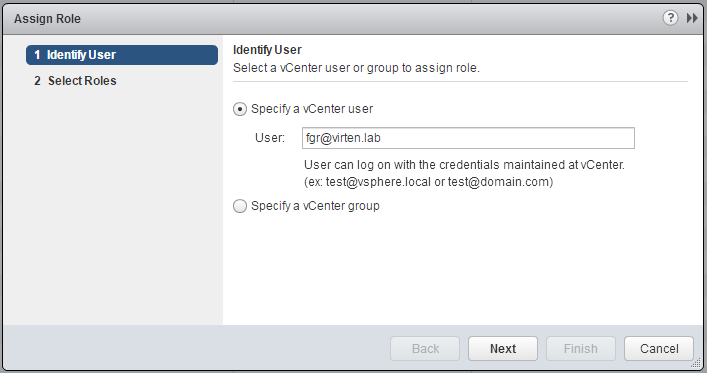 Specify a vCenter User or Group. The source can be Active Directory based or LDAP based if the Identity Source is known to Single Sign On. You should now be able to administrate NSX with your domain account. I had this exact same issue, now is solved, Thank YOU! !